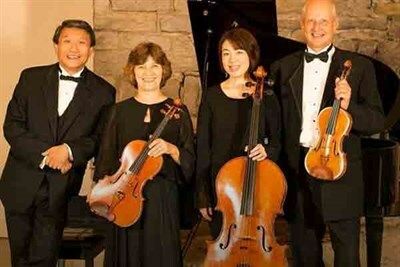 Founded by pianist Xun Pan, violinist Simon Maurer, violist Agnes Maurer, and cellist Ai-Lin Hsieh featuring -Mozart Piano Quartet in g minor-Brahms Piano Quartet in c minor. Selections from Mendelssohn Piano Trio in D Major. More on the website.